This is a very bad company that is badly run. They don't keep there appointments or promises. They overcharge for doing a bad job. They never return your phone calls. Stay away from this company. great, responsive techs. recommend to all. We have commercial properties and had your service for the first time. Your service was prompt and was done professionally. Yes, you are very efficient. He gets the job done fast. Your prompt response was fantastic. The tech Emil was very knowledgeable and professional. The technician was, on time, thorough in the treatment, took care with contact to personal items, and courteous. A well done a good and professional job. Excellent customer services by Scott Kaufman and exterminators that visit on site. Very prompt and effective service. Christian was friendly and knowledgeable and we were able to make an appointment the very next day. Eric was very friendly and efficient and easy to have in our home! Expert knowledge of pest and rodent control. Effective extermination. Everything went as smoothly as possible. Thanks for the great service. Eric is always professional and courteous! He always does a great job and is very informative! Excellent customer service. Both Scott and Michael were professional. Basically, you never finished the job of getting rid of the moths my house. In addition, my son, Josh, waited for Eric for 3 hours with a no show. I am not pleased, and it is not clear to me that the moth I may have another company come out. This is not good business for Rose. 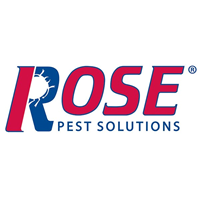 Our corporation used Rose for termites, and it went okay. But the moth solution did not. Just first time, but Nelson was very nice and thorough. Emil was very knowledgeable and took the time to explain all scenarios. Fantastic! Christian was on time and very professional. The service was professional and quick. I am very satisfied. Prompt Service, professional demeanor, highly recommend. Tech did a great job. He knew exactly how to get rid of the rodent problem we were having. Erik was great: very professional and knew exactly what our yard needed for a rodent infestation. Emil has been amazing during this treatment experience. He's been informative and open to all my questions and concerns. Eric was great professional and experienced. Did a little extra as well. I sent an email on Monday morning, I was contacted by Monday afternoon and we were scheduled that day. Then the day of the appointment Nelson was great explaining the process, how to keep mice out, and a plan and strategy to trap any that get in. He was prompt, professional, knowledgeable and personal. It was as good an experience as you can have when dealing with pest removal. Emil was professional and courteous and answered all my questions. Thank you so much ! service was great could not ask for better service. My problem with the sparrows was solved quickly & efficiently. My only question is whether Steve check the rat trap out back by the garage. You guys are great! So far so good, but will need to wait and see if the treatments work. Steve was great. He was very communicative and thorough. Emil did a great job! Already recommended him to a neighbor. Sean came out and did a no-nonsense professional job and trying to hunt down our problem. Rose employee came quickly and seemed to do a thorough job however, mice were back less than 30 days later. Awaiting follow up appointment to see if they can get rid of this problem fully. Emil was great to work with and answered all of our questions. So far so good. Eric was prompt and personable. Ramon was very helpful and knowledgeable, really went above and beyond to address all of my concerns. It really is employees like Ramon that make a company great and because of him I would hire Rose again. I was delighted to get a very prompt response when I first went on the website. Within minutes someone was able to chat with me, get the information about the problem and my location and arrange for a call to schedule the appointment. The call came within a very short period of time and I was able to get an appointment scheduled promptly. The technician who came was courteous and thorough. I felt like he was well trained and knowledgeable and able to deal with the problem. Quick response. I feel like the rep I first spoke, Scott, with gave me the incorrect impression of what they final product (the repair of drill holes for termite treatment) would look like. He said that the whole of our next-door neighbor was done poorly, but frankly ours repairs look the same. He should have refrained from making this comment since the final product looks exactly like my neighbors. As a homeowner, I understand the need to have the treatment. Why did he raise my expectations for the final appearance after the treatment when he wasn't able to meet those expectations. Scott was early and really proactive about resolving our roach issues in the compactor room. He is very attentive and made sure that all the units was addressed even if it meant sending Keyth back to the building an hour later because we forgot to add 1 of the units that needed service. Thanks guys!